Foxy is a sleek, all-in-one solution for businesses. From eCommerce integration to Responsive Design, Foxy includes everything you need to bring your business online. The themes finds harmony in a balance of simple and striking design elements. Foxy is fun, but it doesn’t let anything get in the way of its structured and functional layout. 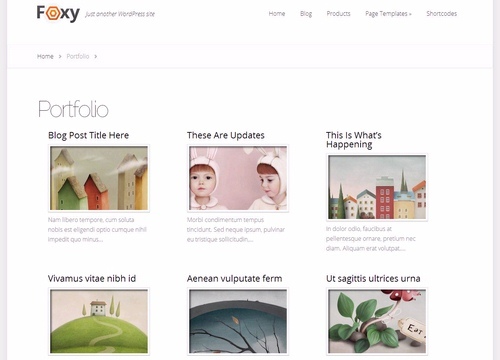 Foxy is Elegant's first theme to include a responsive style for resolutions over 960px. This means that the theme will look better than ever on modern screens of 1366px and above without cluttering smaller screens with overblown header sizes. Foxy theme comes with many page templates for various purposes like Contact page, full width page, galleries, sitemaps, blog feeds, Portfolio page and much more. 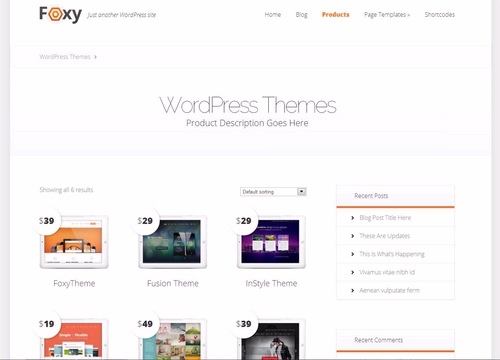 Foxy also makes full use of the WordPress Theme Customizer, allowing you to quickly change font colors, navigation bar colors, background colors, background images and more. 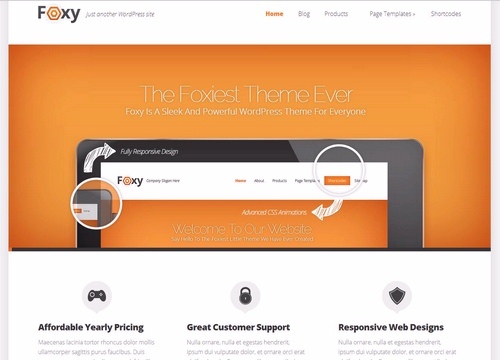 Planning to buy Foxy theme from Elegant Themes. Buy with Confidence. This page provides you with all possible Buying options. Usually Buying options or Pricing page of any theme designer is designed for conversions (to attract users and convince them to buy). Our Buying options page is not like that. We provide all the information about each Buying option. No hidden text or terms. We tried to cover everything that you should know before buying this theme.